New Delhi (KP) - In continuation of Last Week's : Exposé : Hindu Infiltration of Sikh Institutions at the Highest Levels, Panthic Weekly is releasing exclusive videos and still images of the controversial ragi Chaman Lal which clearly exposes his RSS-Hinduvta based frame of mind. Even after becoming an Amritdhari Sikh, Chaman Lal continues to not only worship Hindu deities and saadhs such Ram Chander, Hanuman, and even the Sai Baba, but also promotes this intermingling of Sikhi with Brahmanism to his followers and the innocent Sikh Sangat. The videographer at the dera of Chaman Lal is stopped by one of the caretakers from recording idols of Hanuman and other Hindu deities placed there. The caretaker states that only 'pictures' of Guru Sahib can be recorded here, all other recording requires permission from Chaman Lal. Chaman Lal is worshipped like a guru by his followers; they line up next to his car to receive his blessings. Undercover video of Chaman Lal's home, with pictures of Sikh Gurus along with an image of the Hindu sage Sai Baba. Nanaksar Saadh Saroop Singh, whom Chaman Lal considers his 'guru' is seen receiving a massage on his legs by two females and a male. There is no dirth of Murakhs in Sikh Community. Ritulaism and Haume Poorti is what the Deras and Guru Ghars are after... Sacche Patshah Sikkha nu bibek bakhshaN. I would like to congratulate the sevadaars of Panthic Weekly who are doing a fantastic job in exposing these so called babe saadhs sants who are destroying Sikhi by misguiding the masses. Chaman Lall should be banned from all gurdwaras, when he was a mona he used to push his way into Delhi Gurdwaras to do kirtan which is against maryada. Stay away from all those who label themselves as sants,they only do parchaar for fame and money. The sangat needs to punish our so called rss Singh sahibaans and head granthis, who are they to preach to others. Let's all support Panthic Weekly to stop these elements growing. Waheguru ji ka khalsa !!! Waheguru ji ki fateh !!! Chamanlal ne Sikh Sadh Sangata da apne utto vishwas todya hai. chamanlal nu guru Ghar ch kirtan karan layi banned kita jave. Te AKALTAKHAT Valo sakhat action v lita jave. Iss pakhandi saadh nu dhoun ton farh ke gharisna chahida hai.patta nahi ehna boobneaan vaste Akal takht kion khamosh rahanda hai? Eh saadh babe Sikhi de qatil ne. Ehna nu gharhisa pavega taan koum bachegi barna nahi. SGPC, jathedars, etc are all just nominated by the ruling political party - Akali Dal. Whenever a religious institution is created and run by a political party, things are bound to go wrong. Akali Dal have power to mis-use SGPC for their own political benefit anytime. The whole structure of SGPC and Akali Dal is wrong. These are all political butchers,orgenized by RSS. Let us put our all efforts to organize sangat to read and understand sri guru Granth Sahib ji in right way, for this we have to arrange electronic media i.e. 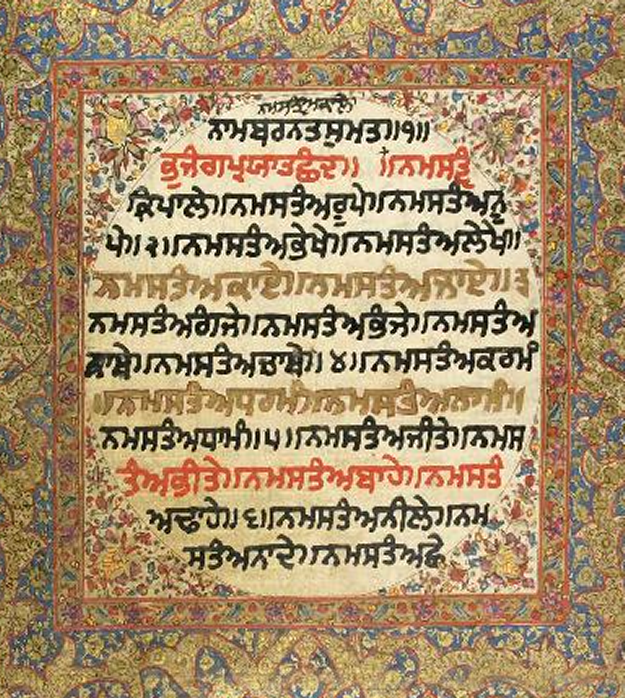 websites, TV programmes where the recital of Gurbani with its translation in regional languages should be available and then we will find our true Five PIARAAS and True Five JATHEDARS from whom we can get true HUKAMNAMAs. The First step to aware our friends,near n Dears to come forward to wash out Parkash Chand Masand(Badal) and his party from SGPC and bring back the Live gurbani on Etc channel instead of badal's PTC channel. jad ene sare saboot ne te phir koi sikh jathebandi ehojae sadan di report sacche takhat AAKAT TAKHAT te kyo nahi kardi, ta ke eho jae sada nu gurmat de veruddh chalan di saja mil sake? Such Hindu deras should be warned to stop such practices in the presence of SGGS . The Delhi Sikhs have to be more conscious as they are more devoted Sikhs and must follow the real sikh practices . Chaman Lal Singh is a hindu planted among sikhs to spread hindu rituals. He should again get baptised and become Charanjit Singh , wear the 5 Kakars prominently and remove all Hindu monumetal stuff from his Dera . I have witnessed his rise. He was given full regard, honor and fame by Sikh congregation everywhere but what went wrong with him who jeopardized in the faith of Sikhs, shown to him? Why? Was he influenced by the RSS or so-called enemies of Sikh faith or due to his family background(he is a convert)? Now he has lost the honor and status once he enjoyed. Rightly Guru Gobind Singh ji said that when his followers shall follow or go to the 'BIPRAN KI REET', the Guru himself shall not take care of him . And one who is kicked off by Guru finds no place in heart of Sikhs.